Is bottled water safe enough to drink in China? Recently, the “Thousand Island Lake Water Quality Controversy” has been in the spotlight in Chinese media. “ The Thousand Island Lake”(Qiandao Lake), is the water source for the Nongfu Spring, a name brand Bottled Water in Hangzhou. A report released in Janauray said that the water quality of the Thousand Island Lake is put in Catorgory IV, which indicates that the surface water is only suitable for industrial use. The report named the Monthly Report on the Water Quality of China Surface Water was released by the Chinese Enviromental Monitoring Administration. 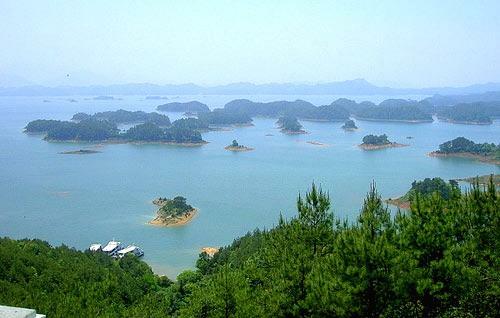 However, the Administration of Environmental Protection of Zhejiang Province rated Water Quality of The Thousand Island Lake as “ Category II” ,indicating the water quality is excellent. It’s a real surprise that the water quality can be improved so dramatically in a short time. Anyone who has a head on his shoulder would question the big difference in the water quality report by the two organizations. It is worth noticing that the Thousand Island Lake is the water souce for the Nongfu Spring (农夫山泉). The Nongfu Spring Corporation is a name brand Company in Zhengjiang Province. 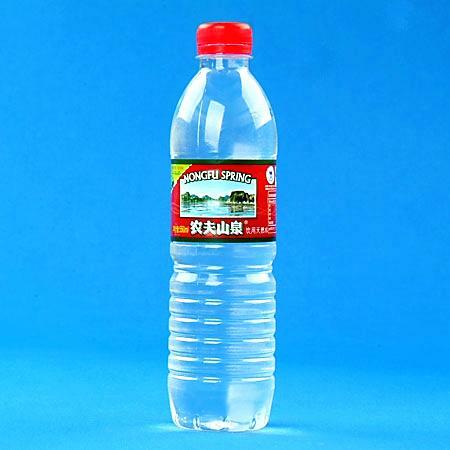 Nongfu Spring (bottled water) ranks Top 3 in terms of sale volume among the Chinese bottled water industry, which generates huge profits and tax for Zhejiang Province. In the recent years, the consumption of bottled water has been increasing dramatically. There is a general belief among the general public that “ the water quality of bottled water” is higher than tap water. Is this true? Here is a question: “Bottled water, pure drink, or pure Hype? Do you usually drink bottle water? Do you think if it is of higher quality than boiled tap water? Bottled water is convenient but safe enough, I think boiled water is safer. Here, in the United States, bottled water is more hype than most people realize. Most brands are poured into the container straight from the tap, or from a local water source. Many people know this but still continue to gulp and pay. I guess the since of security is worth the money to them. So, as to your question, bottle water has to be safe, or at least seem safe. After all, what other choice do we really have? If you've ever drunk boiled tap water in China, you would know the difference. While micro-biotically if may be no safer than tap water the huge difference in flavour is what makes it more attractive. Taste it and judge for yourselves. Of course any water from Lakes or Springs also has to be treated before bottling. In Nanning I did drink a lot of water,like all others. A glass of water was the first that came to table every where. Nanning drinking water comes from Youqian and tastes mud. Cooked fish, by the way, tastes as delicious there. So, obviously I did choose bottled water. Safe or not. Have to agree with JIM BRAN on this one. All hype and $$, or in your case Yuan. than gas (petro) I would have thought them to be crazier than hell. Long time ago, in Hang Zhou city, Zhe Jiang provice, I saw local people pour natural spring water underground into bottles and sold them to travellers. A lot of bottled water are sheer " tap water". The producers just fill "the bottles" with tap water. The cost is low; the profit is huge. 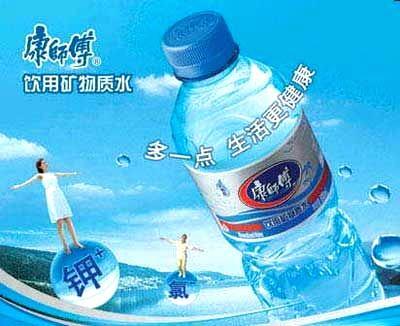 We consumers fall victims to the the ' undrinkable water"
Kangshifu Mineral water was also involded in the "unqualified water water". It's a shame that the greedy business just cares about profits. GUESTSALEMID I will bring the bottled water processed in my country into China? Is that allowed? How much quantity can I bring? Thank you! Post a Reply to: Is bottled water safe enough to drink in China?